Many marketers promote their products and services on Twitter. Sometimes they send traffic on a website or a youtube channel or directly on their affiliate links and products on Amazon. If you want to be successful and find new customers on social media you need to spend a lot of time every day to connect with other users. For this reason, tools like ManageFlitter are so helpful. You can save time and grow up your following if you know how to use ManageFlitter. When you visit the manageflitter.com you can sign up in a few seconds. You do not have to fill in your personal details. It connects with your Twitter account, you log in and you gain access inside. Do not worry about authorization as it is absolutely safe. I am using it for months without any problem. First of all, we need to prevent our account from being banned. So, avoid buying followers or following hundreds of people every day. If you do not respect the rules of Twitter, you account will be deleted soon and you will lose your following. When you create a new account avoid following over 100 people per day. Later, with thousands of followers, you can follow more people. My limits are 50 for new accounts and 200 for established ones. It does not mean that you will get banned if you follow more, but I prefer to be safe. 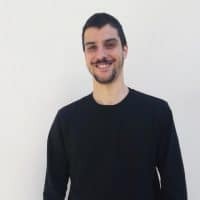 Now, let’s see how you can save time with ManageFilter. Under the follow tab, you have some options on the left sidebar. Here, I recommend following back people who you do not follow yet because it is possible to unfollow you after some days if you do not return the favor. I have some rules about following back too. I avoid eggs and inactive users. Next, we want to follow people who may be interested in our products or content. When we manually search for users, we look for tweets and bios relative to our niche. You can have more criteria here also like activity, followers etc. If we search manually, it may take some hours to find 100-200 targeted users to follow. But, with the Power Mode tool of ManageFlitter, we can find as many users as we want in a few minutes. If you do this process daily your account will grow up rapidly. You can gain access to the tools above with the Pro membership. When I joined on ManageFlitter, I was looking for a tool to unfollow users who do not follow me back. Until now, it is the best and simplest tool I have used to unfollow people on Twitter. You can find in a few seconds who does not follow back, inactive users, fake users and much more. Be careful, you could get banned from Twitter if you unfollow hundreds of users every day. I usually recommend unfollowing 50 per day for new accounts. You could also choose a day every week to clean up your account as an alternative way. We tend to unfollow inactive users and not followers because it is important our profile looks professional. So, we need a good followers/following ration. The Freebie membership offers 100 unfollow per day that it is fine for a new account. However, you will need to update later. The last part of my Twitter strategy is the regular tweets. When you are active, more people will read your content, visit your website and click your links. You can use the PowerPost tool to schedule your tweets and publish them when you want. PowerPost shows you the best time to publish your tweets and important analytics. Follow the steps above and you will grow rapidly your Twitter account. You can check out my account here. If you are serious about Twitter marketing, ManageFlitter is an important tool. You can grow up your following and post tweets without having to spend all your day on Twitter and focus on other important aspects of your business too. However, keep it safe and do not be aggressive with your follows and unfollows. It is also possible to manage more than one accounts. For one account the Pro membership costs 12$/month. 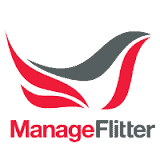 You can join ManageFlitter here.